S-strain usually infects sheep but can potentially infect other JD-susceptible species, including cattle. S-strain of JD is endemic in the Western Australian sheep flock and cannot be eradicated. S-strain of JD in cattle has been detected in Australia. In Australia, studies have indicated that there is a low-risk of transmission of S-strain from sheep to cattle, however, transmission can occur sporadically. There is no proven transmission of S-strain between cattle. As of 15 April 2019, WA has had three clinical cases of S-strain in cattle, with the first in a cow in 2013. What happens when S-strain is detected in cattle in WA? All strains of JD, including S-strain, are reportable diseases. The Department of Primary Industries and Regional Development (DPIRD) must be notified. 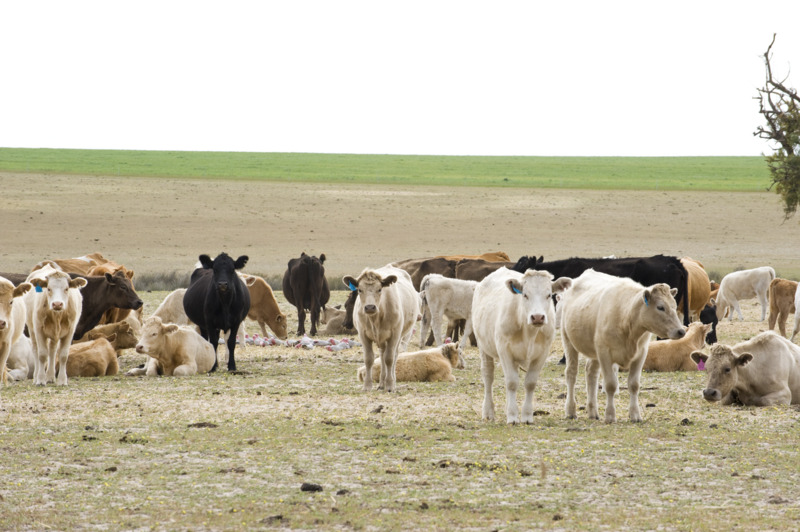 No regulatory actions are implemented on a property if cattle are detected with S-strain. However, the detection is recorded against the property identification code (PIC) and this is taken into account when undertaking Property of Origin certification for JD-relevant markets. What effect does S-strain detection have on my Johne’s Beef Assurance Score (J-BAS)? If a laboratory test for a J-BAS 7 or 8 property confirms S-strain JD with no clinical signs, the property J-BAS will revert to a score of 6, provided the other requirements of J-BAS 6 are met. The property will be eligible to retest in two years, after the last high-risk animal(s) are removed, to progress to J-BAS 7. Producers should see the JD in Cattle Biosecurity Checklist for more information. climatic conditions that facilitate survival of S-strain in the environment (such as higher rainfall areas). drought-feeding and hand-feeding sheep and cattle (grazing close to the ground and faecal contamination). Avoid co-grazing cattle, particularly calves under one-year-old, with sheep. Consider vaccinating sheep by 16 weeks of age to minimise the JD risk from sheep. Determine the JD status of sheep on the property through on-farm testing or abattoir monitoring. If there is JD on the property, minimise the potential risk of exposure infection through the culling of infected livestock, grazing management and, if appropriate, vaccination of lambs for JD. Prioritise high-risk sheep for culling including: clinical cases, suspect clinical cases, dam, test-positive animals and animals originating from high-risk sources. Do not graze young animals in high-risk areas including next to neighbours with JD in sheep. Do not graze cattle less than one-year-old on pastures that have been grazed by sheep, particularly not pastures grazed by sheep with JD. Do not hand-feed cattle and sheep together.